“You Can Make It” Projects – Have You Seen Them? Rooted in Nature Bundle. 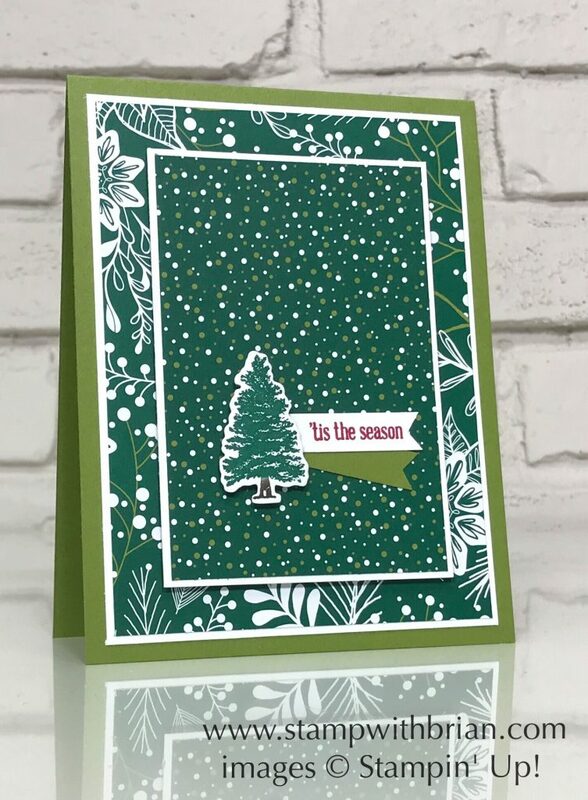 The Rooted in Nature tree that’s the focal point of my card is painted with a Shaded Spruce Stampin’ Write Marker and an Early Espresso Stampin’ Write Marker. I cropped the tree with the Nature’s Roots Framelits Dies and popped it up here. So cute. Here’s a look at the Rooted in Nature Bundle that needs to be on your wish list right now: I stamped “’tis the season” from the Itty Bitty Greetings with Real Red ink and cropped it with the Classic Label punch. I ran the banners through the punch sideways to add the banner tip to each banner. Those two green patterns are so stylish for the holidays. Darling little tree . . . keeps the look simple and striking. I really love these layers! And the smaller images really pop! Your layering is always perfect. Results are awesome!! I thought you had stamped the paper then realized it was from the DSP. Cool! I love this! Green is my favorite color! I am already anticipating your Christmas card swap. It might be early, but I am hopeful you do it again this year! 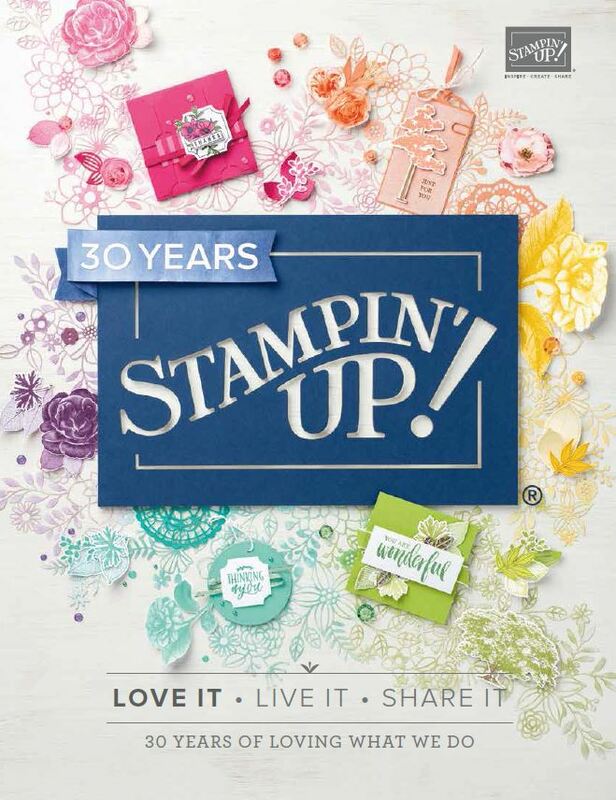 Rooted in Nature is going to be great for fall and Christmas! Your blog hops are always such fun to see. You have such a talented group and your Christmas theme really reminded me that I definitely need to start making some Christmas cards. I’m so glad that I bought the Rooted In Nature bundle. I know I’ll be using it all year through all seasons. I mean really, look at the gorgeous card you made today with it. Thanks Brian…………………. OH, how pretty! The DSP adds so much texture, but the card is still gorgeously clean. Love! This is such a ‘Brian’ Card. Love it. Love the big bold pattern topped with the tiny dots and teeny tree. Great card! Pretty and I am getting more and more attached to Shaded Spruce . I really like your card ,but I am not sure about that Old Olive touch ! But playing with colors is a fun thing and why not use Old Olive to break up the eyes getting lost in that deep green tranquility . I will “ponder” on what color I would use for that accent ! FUN !! Gorgeous greens, indeed! Love this beautifully layered heist as masterpiece! I love these two patterns together! Shaded Spruce is such a rich color, and the small dotted pattern immediately said “snow” to me. Have a great trip. beautiful card; love the colors. I love the bright greens with that tiny burst of red. Great focal point! This is definitely a Gorgeous green card! Love it! My apologies for the lateness of this comment Brian, been super busy lately. But the card is beautiful, you come up with the most interesting color combinations and this one works perfectly for a very elegant Christmas card. Brian- I love that sweet little tree and the banners are just wonderful!